Misheard lyrics (also called mondegreens) occur when people misunderstand the lyrics in a song. These are NOT intentional rephrasing of lyrics, which is called parody. This page contains all the misheard lyrics for Blaze Of Glory that have been submitted to this site and the old collection from inthe80s started in 1996. For more information about the misheard lyrics available on this site, please read our FAQ. Bon Jovi's, "Blaze Of Glory"
I never chew birds but I chew birds' blood. I never shoot first, but I drew first blood. In a can that delivers. I'm what Cain is to Abel. I'm a cain wiss a end. I'm a goat in your stable. I'm a colt in your stable. I've got an old colt for a pillow. I´ve got an old coat for a pillow. I've got an old goat for a pillow. I've got an old coat for a pillow. This poor doll of a man. Let this boy die like a man. I'm a gold digger's table. 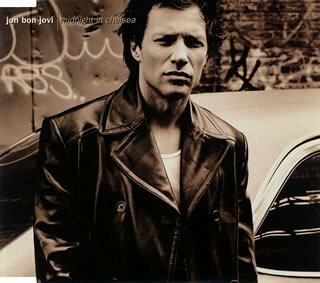 Jon Bon Jovi's, "Blaze of Glory"